Norma Florine (Coles) Gartin was born January 29, 1924. She was born to George Odell Coles and Zora Lavilla (Baxter) Coles. She was born at her parents’ home in the Whitebreast neighborhood north of Chariton, Lucas County, Iowa. On February 3, 2019 at the age of 95 years and 5 days, she passed from this life, to her heavenly home and is now free from the pain she suffered for many, many years. Her parents faithfully took their family to church, and Norma accepted Christ as her personal Savior at a young age. After graduating from Chariton High School in 1941, she completed Normal Training and obtained her teaching certificate, and taught in one room country schools for 2 ½ school years. She rode a pony from her parents' home to and from school each day. Norma married Charles Gartin Jr. the love of her life, on June 11, 1944 in front of the fireplace in her parents' living room. They began their married life in Little Bear, Wyoming. To this union were born three children. (Charles) Dennis, Linda, and George. Later they moved to Chugwater, Wyoming. They returned to Iowa in 1952, to farm in partnership with Charles' Uncle John Gartin. In 1957, they rented the Meyers farm east of Russell. Seven years later they were able to purchase this farm. Norma was a supportive farm wife and mother. She raised a large garden and did canning and freezing to put food on the family table. She raised a large flock of laying hens often having as many as 300, which meant LOTS of eggs to gather and wash every day with the help of her children. The egg money was used to meet many of the family's needs. There were many chores for everyone with calves, sheep, pigs and chickens on the farm. Charles and the boys milked 4 cows so there was milk and cream to deal with daily. Washing the many parts of the cream separator was also one of Norma's daily chores. She supported her children in 4H projects, school activities, and church functions as well. When her husband was laid up with a back injury in 1965 she valiantly endeavored with the help of her two younger children to keep up with the chores. Norma was a faithful, active member of First Baptist Church in Russell, Iowa. She served many years as the Mission treasurer. She baked dozens and dozens of cookies for VBS and wonderful food any time there was a potluck dinner. Following her husband Charles' death in 1987 she purchased a home in the town of Russell, Iowa, where she lived for 26 years, Norma decided to give up driving and moved to Southgate apartments in June 2013. 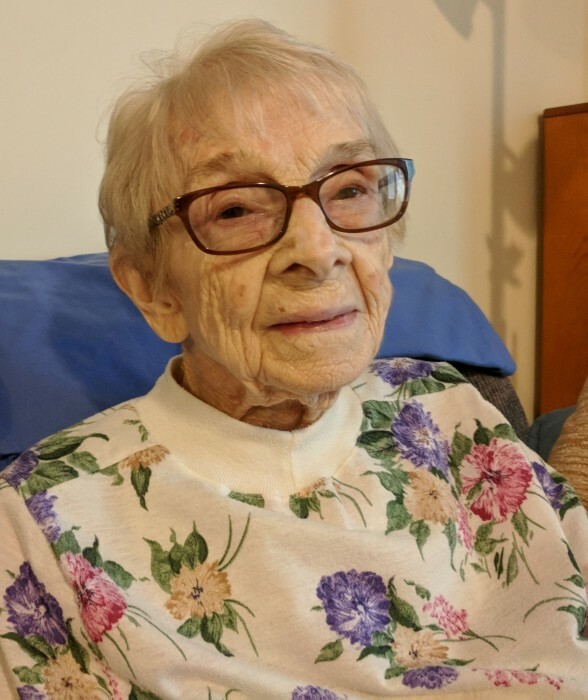 In 2017 she moved to Homestead Assisted Living and was moved to Legacy Lodge Hospice on January 23, 2019. She was preceded in death by her husband Charles of 42 years on May 13, 1987, her parents George and Zora Coles, one brother Dean Coles, two sisters, Doris (Coles) Besco and Helen (Coles) Rawlins. Sisters-in-law, Mildred Coles and Pat Gartin. Brothers-in-law, Dwaine Rawlins and John Gartin. Son-in-law, Leland Whitlatch. Nephew, Kenneth Besco. Niece, Nina Rawlins. She is survived by: son, Charles Dennis (Charlene) of Cedar Falls, Iowa; daughter, Linda Whitlatch of Cambridge, Idaho; son, George (Neuza) of Springfield, Missouri. She is also survived by 6 grandchildren, 26 great grandchildren, and 7 great, great grandchildren. Grandchildren: (6) David (Gina) Gartin of Cedar Falls, IA., Michelle (Doug) O'Neil of Maryville, TN. Philip (Bethony) Whitlatch of Palmer, AK. Itamar (Samantha) Gartin of Springfield, MO. Kelsey, Allisa, Hannah, Chase, Breanne and Cade Gartin. Diana, Charles Joseph (C.J.) and Josiah O'Neil. Brittany Whitlatch (Daniel) Eicher, Tyler (Ashley) Whitlatch and Makayla Whitlatch (Keven) Mack. Gabriel (Emily), Laura, Garrett, Gilbert and Grady Whitlatch. Amelia, Callista, Charles, Robert, William, Elaina, Gloria and Kenneth Whitlatch. Tirzah, Naomi, Azariah, Reuben and Keziah Eicher. Also surviving are: Brother-in-law, Cliff (Skookie) Gartin of Fresno, CA and Brother-in-law, Donald Besco of Corydon, IA; Norma has also left other beloved nieces, nephews, cousins, extended family, and dear friends who will miss her greatly. There will be a time of visitation from 6:00 pm to 8:00 pm on Friday February 8, 2019 at Fielding Funeral Home. A service of praise and thanksgiving and celebration of life, with Pastor Russ Harris of Bloomfield, and Pastor Terry Wilhite of Russell officiating at 10:30 am on Saturday February 9, 2019 at Fielding Funeral Home. Interment following in the Russell Cemetery. Pallbearers are: David Gartin, Jim Whitlatch, Itamar Gartin, Doug O'Neil, C.J. O'Neil, and Josiah O'Neil. Honorary pallbearers are Caryl Whitlatch and Philip Whitlatch. In lieu of flowers, memorial contributions may be made to First Baptist Church of Russell, Iowa or to Legacy Lodge Hospice in Chariton, Iowa.